Kimberly is at a loss when her grandfather passes away unexpectedly. Left at the mercy of an abusive father, she is forced to watch as her grandfather's legacy is demolished, piece by piece before her eyes. The one thing her father cannot touch, however, are the stories of Auviarra, the magical world that made her grandfather's books famous. When Kimberly discovers a magical blade that shouldn't even exist, she is whisked away to a land of heroes and villains. Taken in by a band of misfits, she tries to measure up to the stories she loved so much. However, something has followed her to Auviarra, a shadow from her grandfather's past. 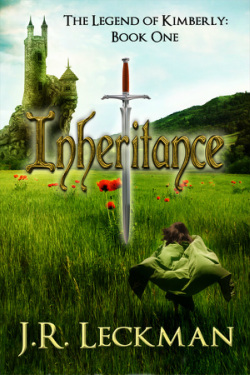 In the process of hunting it down, she soon discovers that she's inherited something other than a magical blade, something that will threaten to undo who she is. After defeating her father in the Wizard's Forest, Kimberly is hot on the trail of her friend Serra, a half-demon captured by the Brotherhood of Zor. Expecting an easy fight, Kimberly is nearly killed when her magic fails her in a battle with the Brotherhood. Intent on saving her friend, Kimberly must fight her way to the Tower of Light, stronghold of the Brotherhood, before her friend is murdered. 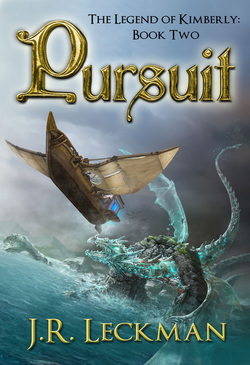 Further complicating matters is her temperamental uncle, sent to Auviarra by her grandfather without his consent, a mysterious bard who knows too much, and an evil wizard whose out for Kimberly's blood. With the threat of war on the horizon, the elves of Tir Lijis trick Kimberly Stone, a young woman from Earth, into being the guardian of the last heir to the Royal Family. With the hope of a nation resting on Kimberly and Princess Giselle, they set forth via airship to seek out the blessings of the gods of Auviarra in order to restore the Heart of Loris, a powerful stone capable of defending the elves, to its former glory. The trip quickly sours as the relationship between the two becomes bitter, and Kimberly begins to suspect that the princess isn't telling the whole story. ​Trey and Serra, forced to stay behind in Tir Lijis, are put in charge of ferreting out a conspiracy to eliminate the royal line. As time runs out and tales of the Brotherhood grow closer, their only hope seems to lie with the mysterious Jonathon, a man who can walk between worlds.